Oh dudes, I totally found my cooking mojo this last week. There has been masses of baking and this weekend featured an explosion of new dishes which were all blindingly successful. What is not to love. I am largely indebted to Ruth at Gourmet Girlfriend for triggering this renewed vigour in the kitchen. I think we all know I ebb and flow with enthusiasm for anything, but a couple of her posts in the last two weeks just made me go – MUST.MAKE.THAT. This lemon chicken was not one of those (hah! ), it was, in fact, planned as the non-spicy dish for the rest of the family while I gorged on spicy salt and pepper tofu and Szechuan braised eggplant. Of course I had completely forgotten Oscar has a disco so suddenly I was under the pump. The chicken was up, everything else was on hold to Saturday. When Oscar was in hospital over New Years, a friend gifted me Neil Perry’s balance & harmony: asian food. It was an outrageously generous gift which has since sat on the shelf calling my name every since. I’m a nervous Asian cuisine cook which is silly considering how much of it I’ve cooked, I guess it’s because I rely heavily on recipes and am reticent to wing it. I knew I was going to do something with chicken wings but was sick of our standard honey soy variety so pulled the book out for some ideas. This was so SO easy and delivered the most delicate and delicious flavours. Go on, MAKE IT. Oh – while I think of it, I did chicken wingettes not the thigh pieces as indicated in the recipe. Because I did those and made a lot more (like 1kg of wings) I did 1 1/2 times the lemon sauce. 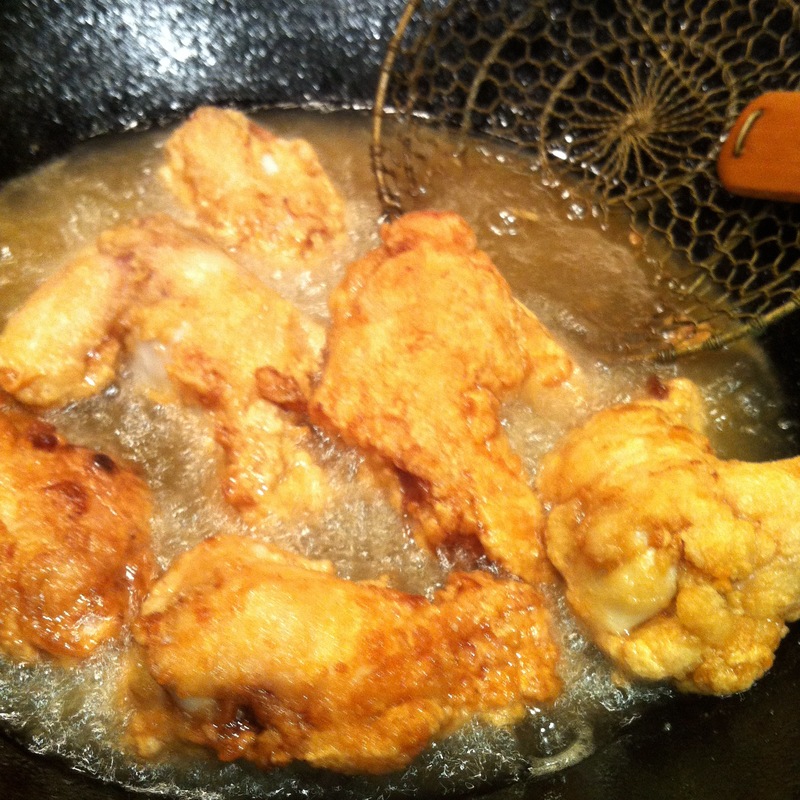 Also – in the deep-frying, I cooked them until nice and golden then put on an oven rack and popped them in the oven for another 10 minutes or so, just to ensure they were cooked through. 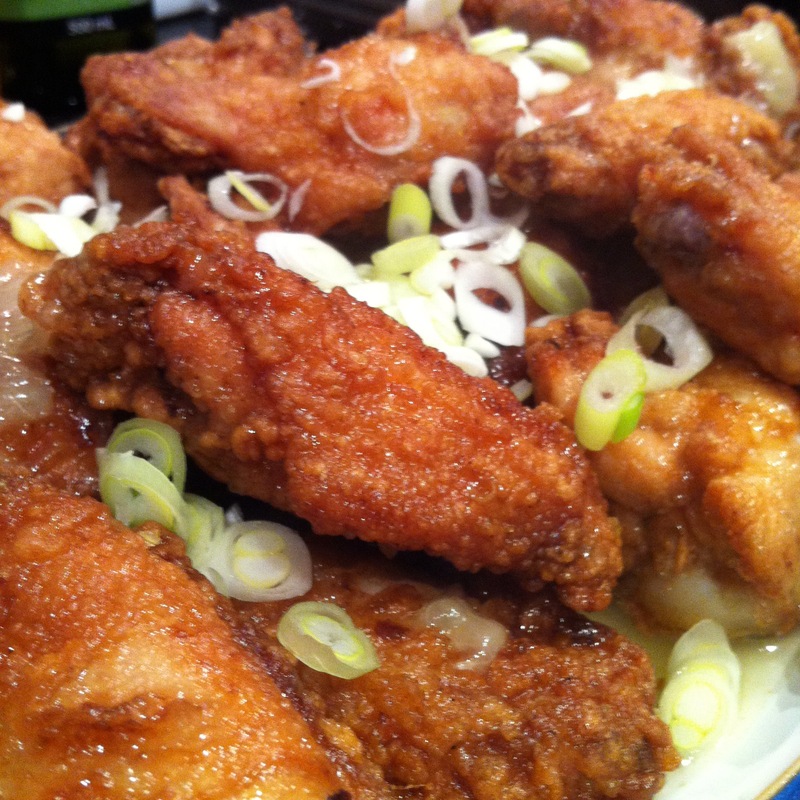 A delightful mix of lemony sweetness and crispy chicken. Finely grate the zest from half a lemon then juice the whole lemon. 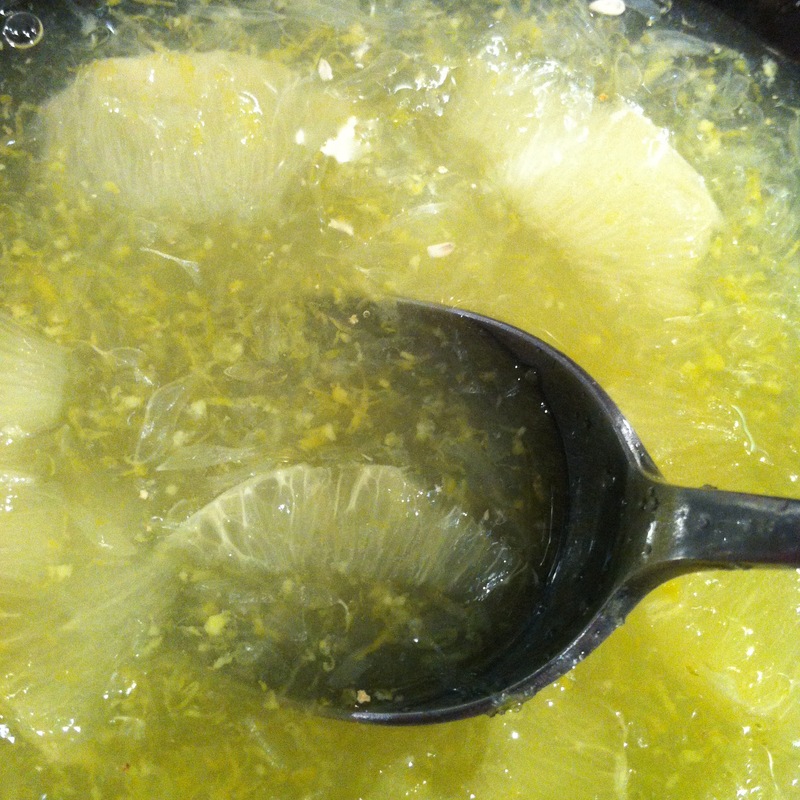 Put the sugar, vinegar, water, lemon fillets, zest and juice in a small saucepan and stir over low heat until the sugar is dissolved. Pour the sauce over the chicken and sprinkle with the Szechuan pepper and spring onions. * I have no idea what a lemon fillet is. 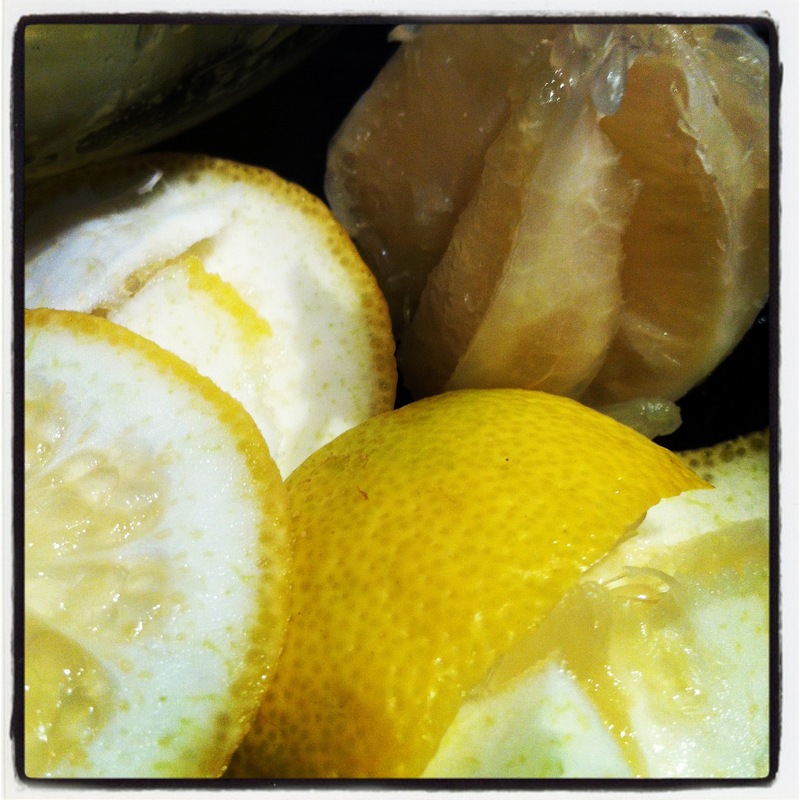 I peeled the lemon including all the pith and then cut segments out between the pod membrane.